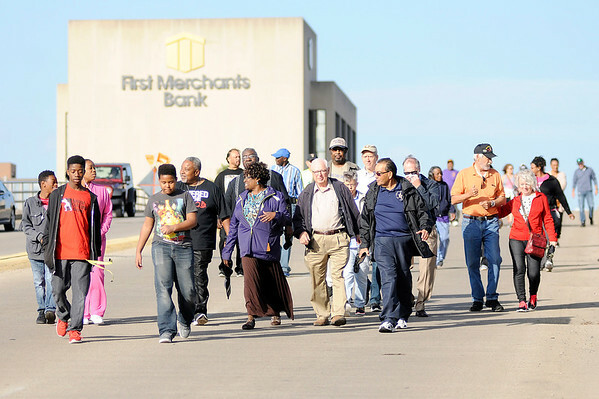 Participants in the Reconciliation March walk across the Eisenhower Bridge on Saturday. The march came about when the Rev. Anthony Harris of Church Upon the Rock had a dream of a march to bring the entire community together.